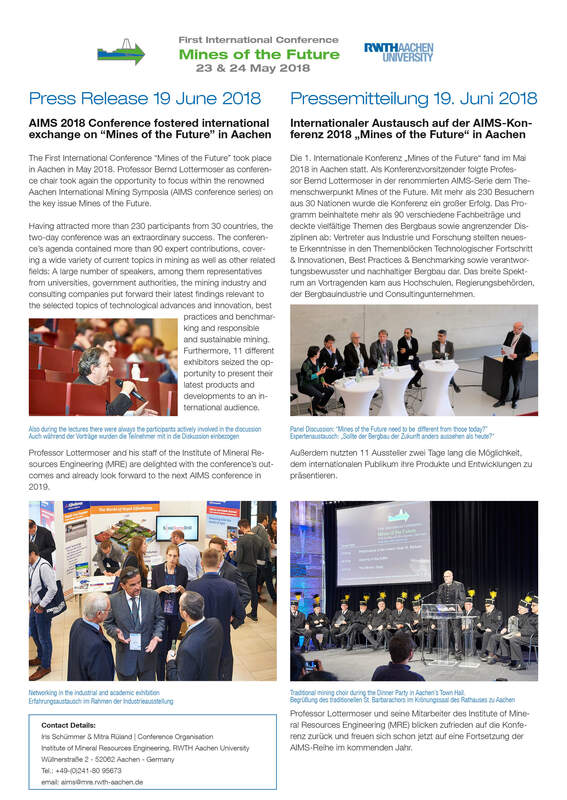 press release of the First International Conference Mines of the Future 2018. Please use it for your publications. We would be pleased to receive a specimen copy.